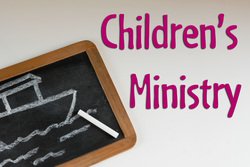 Our Children's Ministry is the "heartbeat of the future." We are committed to helping every child participating in this ministry to grow in the knowledge of Christ, His love for all children, the church family's love for each child, and encourage caring for each other. Giving every child the opportunity to develop spiritually is very important to us. We offer a wide range of classes from preschool to 5th grade.